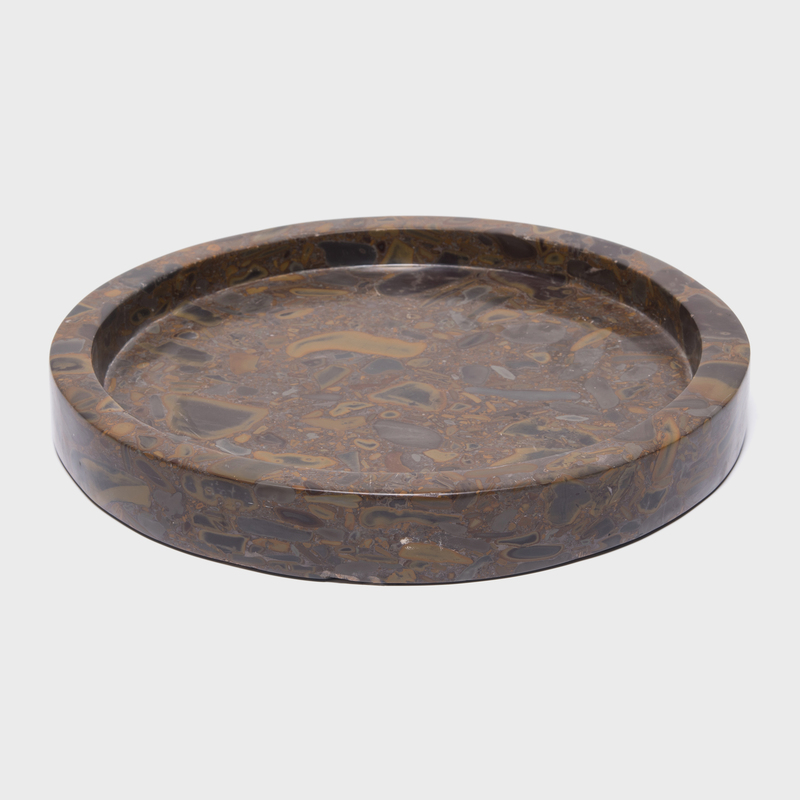 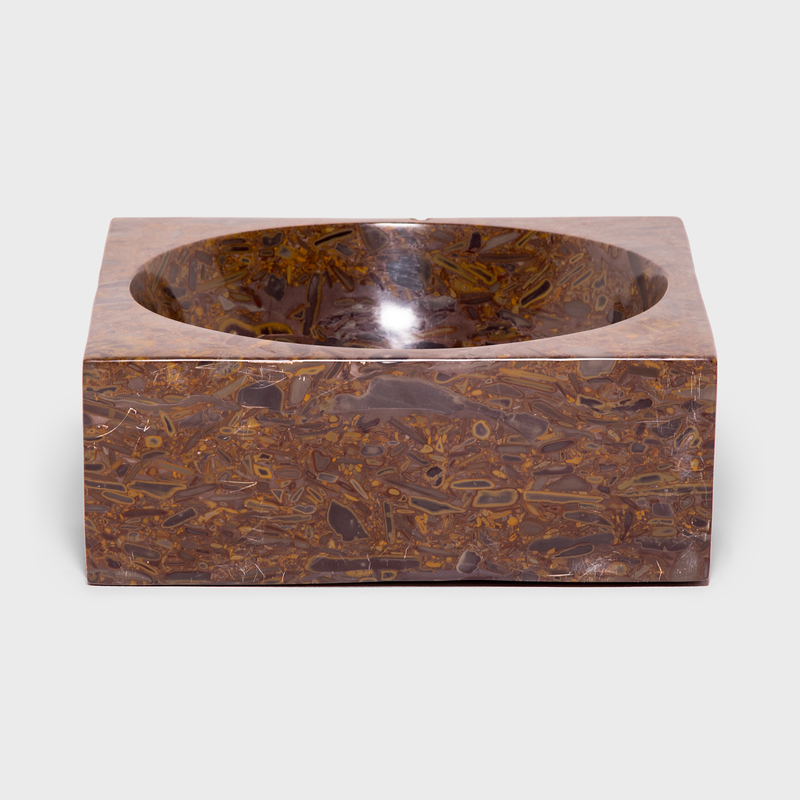 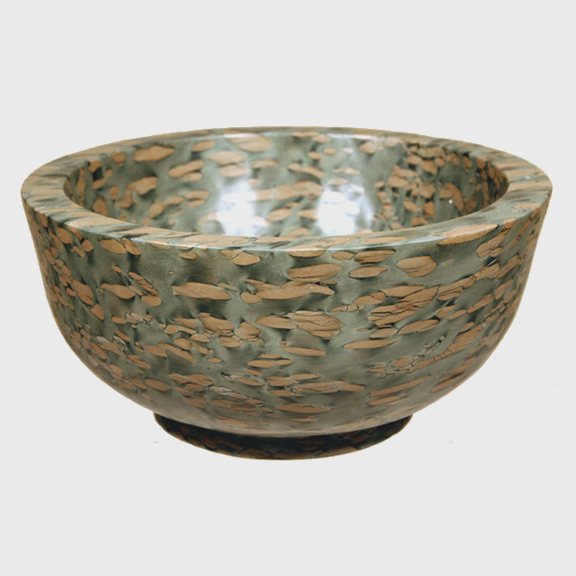 W: 15.0" D: 10.5" H: 2.25"
Uniquely patterned, this exceptional tray is hand carved from puddingstone. Named for its intriguing patterning, the conglomerate stone is embedded with pebbles of different minerals that look like pudding studded with raisins. 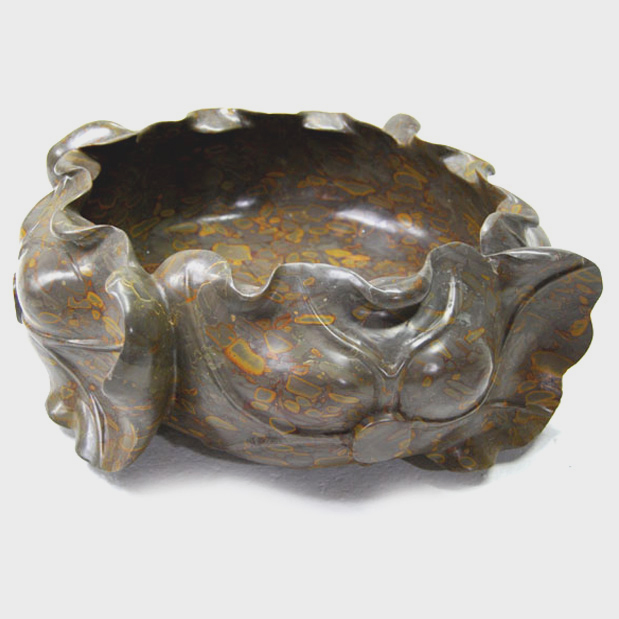 Puddingstone was a material favored by artists and calligraphers during the Ming dynasty as a surface upon which to place scrolls for painting.